LBT will receive $1,206,518 to purchase battery-electric operated buses and charging equipment to replace gas-powered buses. 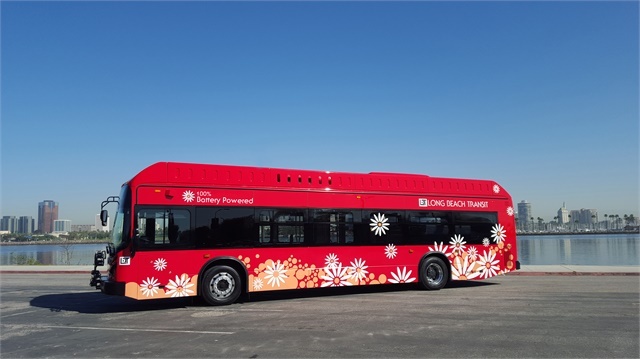 The new buses will replace vehicles that are in poor condition, reducing maintenance costs and improving air quality, according to the DOT’s Federal Transit Administration, which is funding the projects. A total of 139 projects in 52 states and territories will receive funding from FTA’s Buses and Bus Facilities Infrastructure Investment program, amounting to $264 million to improve the safety and reliability of America’s bus systems including enhancing mobility for transit riders across the country, including in California which received $12.5 million. The grants focus on funding projects to replace, rehabilitate, purchase buses, related equipment, and construct bus-related facilities such as buildings for bus storage and maintenance. A list of the selected projects is available here.